But I can't see a way to accurately set the colour - i can drag the 'hue' slider along where I like so its any colour. i tried using the color picker to get the HSL numbers, but if I transfer the numbers over the don't give the right color. how do I get the icon colour more accurate please? A grayscale image is an 8-bit image, it has 256 levels of gray. Transforming this image into a monotone-duotone, we get an 8-bit image, but 256 levels of the chosen color. If it's not on a transparent background then you can either use Blend-If or Channels to achieve the same results. In this particular case I'd just use the Red channel to make a layer mask which is how I got it on a transparent background for the first example. Not the answer you're looking for? Browse other questions tagged adobe-photoshop color icon or ask your own question. How can I change the blue in this icon to an exact Hex color value? 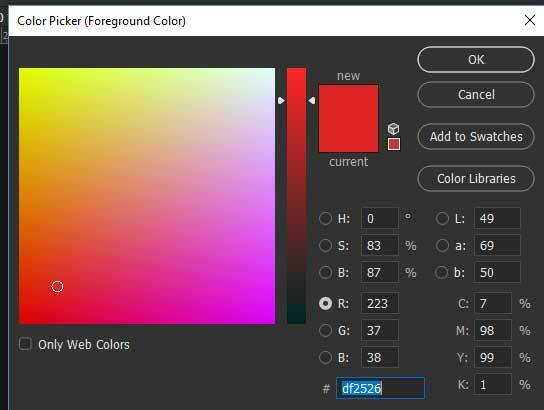 How do I get the default color palette back in Photoshop?